The University of Nebraska appears in our ranking of the Top 10 Master’s in Financial Planning Online Degree Programs. The University of Nebraska at Lincoln has a number of business degrees. Focusing on the degrees in accounting and in finance, there are offerings at the undergraduate, the graduate and at the doctoral level. Some of these degrees are cooperative programs offered through two colleges. In that case, students must apply, and be accepted, to both schools. The undergraduate accounting degree at the university is a Bachelor of Science in Business Administration with a concentration in Accounting. This is a 120 credit-hour program that begins with the university general education requirement and the PrEP Program that prepares all students for university-level study. There is a required business foundation unit that includes Introductory Accounting Principles I and II and Business Law, core courses and the accounting concentration courses. Students who wish to sit for the CPA licensure will have to take 30 more credit hours to meet the educational requisites of the exam. There is also an MPA degree that combines the BSBA and an MPA with an additional 30-36 hour of credits. The MPA-JD is a joint degree offered through the College of Business and the School of Law. It is intended either for MPAs who need some expertise in the legalities of accounting or for lawyers who need a foundation in accounting. The school offers a doctoral degree as well. That degree is the Ph.D. in Business with a Specialty in Accounting. The Bachelor of Science in Finance-Banking and Risk Management is a 120-credit-hour undergraduate finance degree. It includes the PrEP, general education courses, core classes and 24-to-27 credit hours in the major, and nine hours in the concentration. Other concentrations available are Investments and General Finance. Students in this degree program must declare a concentration. The MPAC degree prepares students at a graduate level to practice accountancy in the public sector, while the MBA, Accounting concentration prepares them to work in the private sector. There is also a Ph.D. in Business with a Specialty in Finance. The College of Business also offers, within the finance realm, a Bachelor of Science and a Master’s Degree in Actuarial Sciences. Online programs include a Minor in Accounting and an online MSBA. The online MBA in Finance is a 48-credit-hour program that includes core courses such as Portfolio Management, Options, Futures and Derivatives Securities, Multinational Financial Analysis and others. The MS in Finance Online is 30 credits and includes courses like Portfolio Management, Quantitative Methods, and Managerial Finance. This public research school is the oldest university in Nebraska. It was chartered in 1869 and offered its first two degrees in 1873. The school is a member of the Association of American Universities. It is comprised of nine colleges and schools that house more than 150 undergraduate programs, 20 pre-professional degrees, and 100 graduate programs. 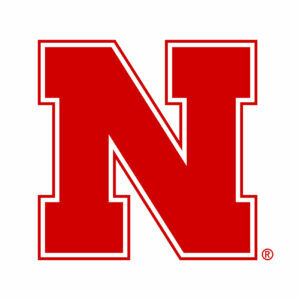 There are four campuses: the University of Nebraska at Lincoln, the University of Nebraska at Kearney, the University of Nebraska at Omaha and the University of Nebraska Medical Center at Omaha. The US News and World Report ranks the University of Nebraska at Lincoln as #129 of National Universities and #42 of Best Online MBA Programs. There are 26,079 students at the school and the student-to-faculty ratio is 21:1. Most classes have between 20 and 49 students. The school has institutional accreditation through the North-Central Association of Colleges and Schools, Higher Learning Commission. Students applying as freshmen do so through the online portal. There is a non-refundable $45 application fee that must be paid at the time of application. Students should arrange to have their official SAT or ACT test scores sent to the university, but their high school transcripts are self-reported. The application also includes a 500-word personal essay. Graduate students apply to the department housing their degrees. There is also a non-refundable $45 fee for graduate applications. Students applying to graduate programs must provide at least two letters of recommendation, and one must be from a professor. In addition, they are required to write a 500-word personal statement. There are other requisites by department, so students should check those sites as well. Most students graduate with student debt. The goal is to have as little debt as possible. Completing the FAFSA form gives qualifying students access to free money (grants that do not have to be repaid) as well as loans and work-study opportunities. Students with great financial need may qualify for the Pell or SEOG grants and, if they meet the criteria for these, will probably qualify for state and school awards as well. Nebraska funds a number of financial assistance programs for higher education. The Nebraska Farm Bureau has many scholarships and grants for students. Many of them target students who want to go into agriculture-related careers, but it is worth exploring the categories. Another Nebraska grant is offered by the Nebraska Society of Professional Engineers and is intended for engineering students. The Nebraska Opportunity Grant is a general needs-based grant. There are other grants available from the state as well as loan-repayment programs for students graduating from certain programs like nursing or teaching. The University of Nebraska loans money to students as well. They also have numerous scholarship available. Most of these are based on academic merit, but some are needs-based and some based on both merit and need. In addition, departments have scholarships for students in their programs, athletics programs have financial awards, certain university activities award scholarships and alumnus organizations or private individuals fund scholarships. A list of these opportunities can be found on the university website. Service organizations such as the American Legion and the International Lions Clubs have scholarships as do some corporations. Students who have used all the free money they were awarded and still are short of meeting their school obligation might take out student loans. These are loans with smaller interest rates and with deferred repayment options that are available from the federal government, the state, the school, and even banks and other lending institutions. Students should also not overlook the resource found in part-time jobs and in work-study programs because they provide the bonus of acquiring work experience. Students who want to earn their degrees from the University of Nebraska should be able to put together several of these programs to realize their dreams of earning a degree.